This was my latest projects. 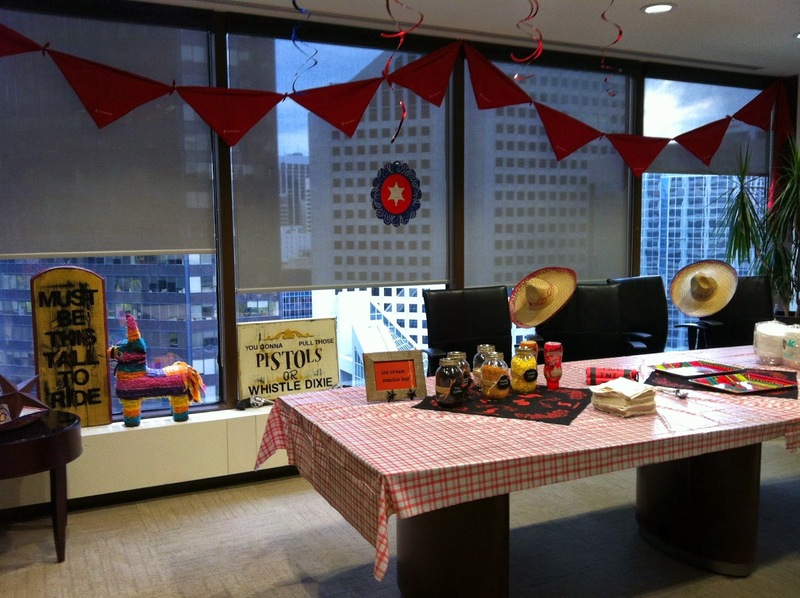 At work we had a western theme chili cookoff. It's a fun time. About 300 people attend. They get to sample 5 different chili booths and kick up their heels a little. I was incharge of the decorating for our chili group. That was much more exciting then being in charge of cooking! 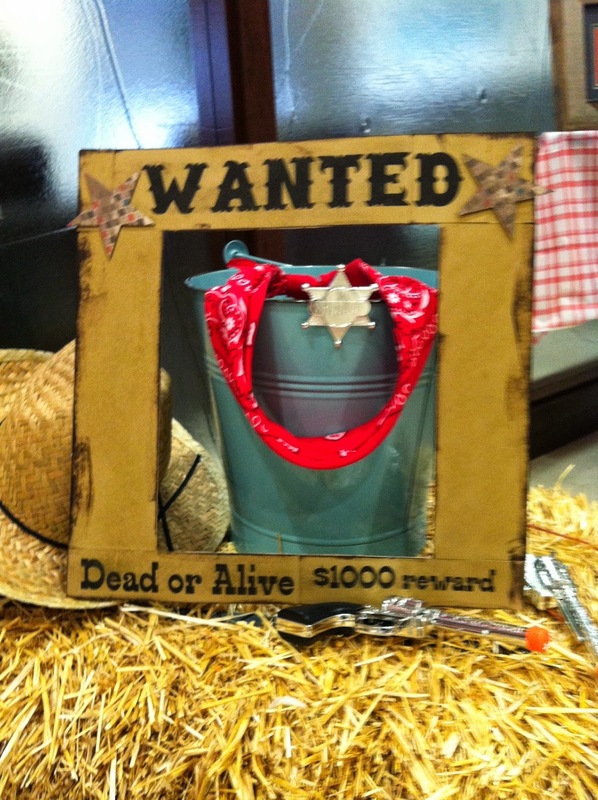 In this photo I created a fun wanted frame for our photo booth. 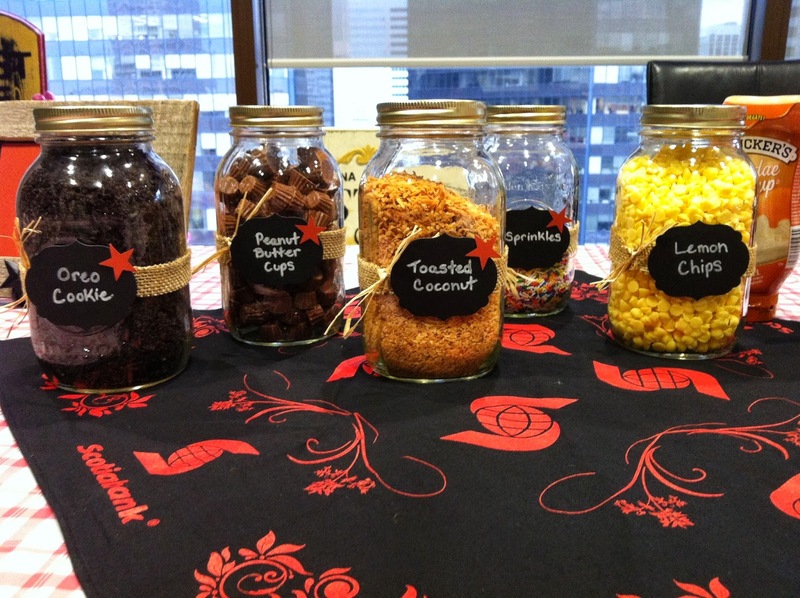 We also had a sundae bar so I decorated these mason jars to make them a little more western. People loved the idea of choosing their own toppings. 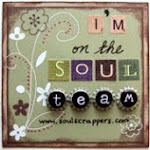 This was a great sign my hubby created. It's a saying from a Clint Eastwood movie. This was the overall look. 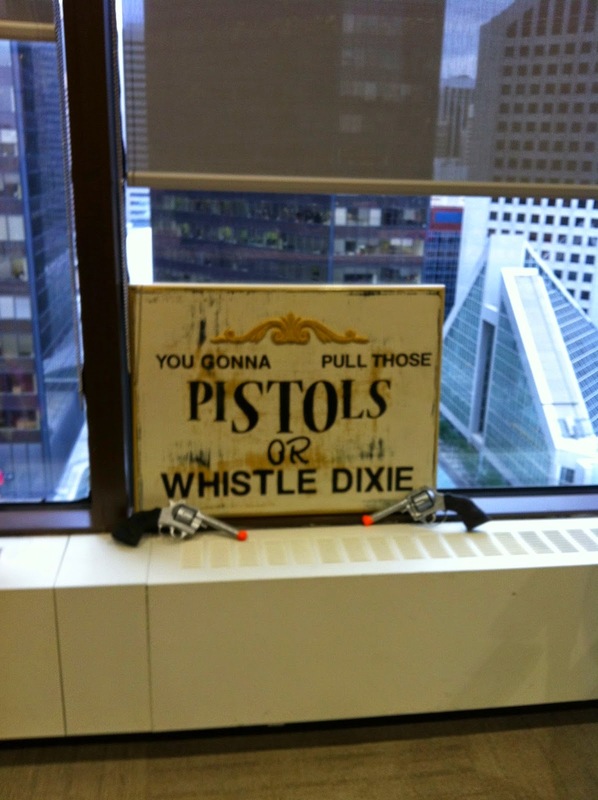 It definately spruced up the boardroom. My hubby also made the sign by the pinata. 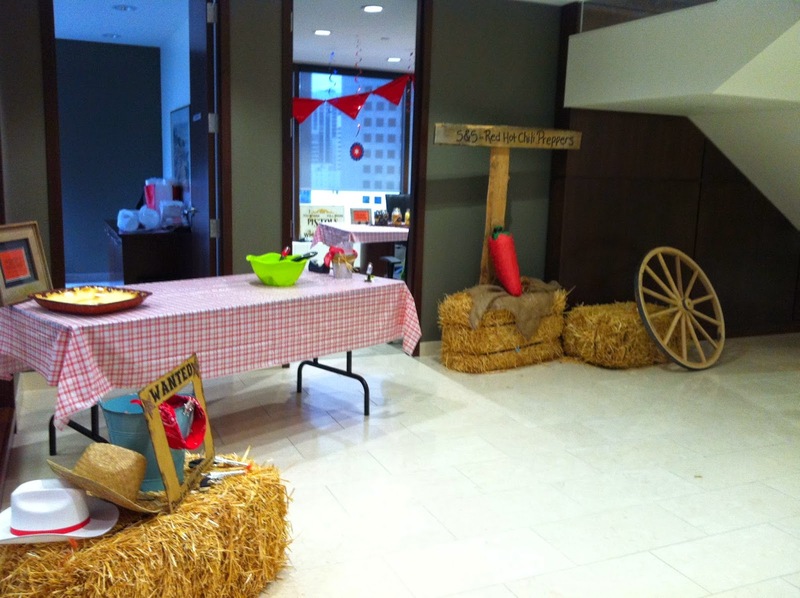 This was just outside the boardroom where we serviced the chili.